The Colombian round, with Froome and Nairo, stands out this week along with the Tour of Oman. Two level tests in Spain: the Vuelta a Murcia and the Clásica de Almería. The great figures of the peloton are slowly making their debut in the 2019 season and this week it's up to two serious contenders to win the Tour de France. Chris Froome and Nairo Quintana will open season in the Tour Colombia 2.1 while other squad figures will compete in the Tour of Oman. In Spain great cyclists will meet this weekend in the Vuelta a Murcia and in the Clásica de Almería. Tour Colombia 2.1 (February 12-17): The Colombian round includes a cast of luxury in its second edition after the success of 2018 with opportunities for all tastes, many of them above 2,000 meters altitude and with the mountainous days of La Union and Viva Palmas that will be decisive in the fight for the general. 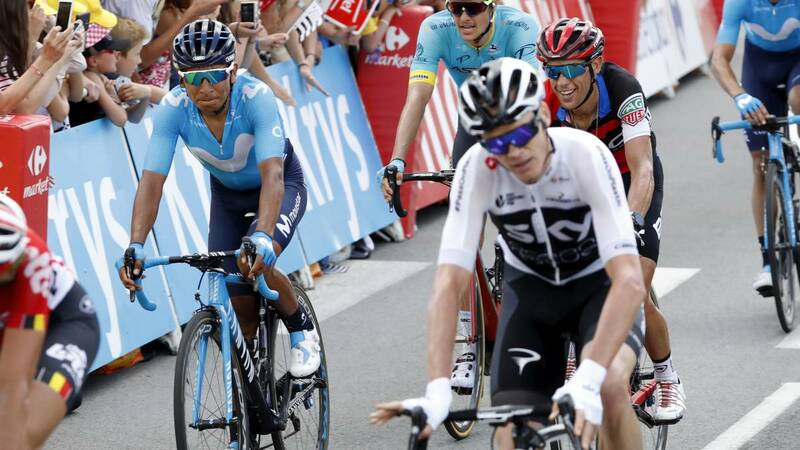 Chris Froome will try to find the title in a test where the great figures of Colombian cycling will be his teammate Sky Egan Bernal (current champion of the event), Nairo Quintama, Sergio Henao, Rigoberto Urán, Miguel Ángel López or the sprinters Álvaro Hodeg and Fernando Gaviria. Also they stand out in the test the names of Julian Alaphilippe and Marc Soler. River Cycling to the Region of Murcia (February 15-16): The round Murcia will have in this edition two stages to decide the general with a day of 190 kilometers between Yecla and San Javier and the decisive journey to Murcia with the climbs to Collado Bermejo (1st) and the Alto de la Cresta del Gallo (2nd) a few kilometers from the finish line. Luis León Sánchez (winner last year) world champion Alejandro Valverde (five-time champion of the event) and Italian Matteo Trentin are some of the cyclists to follow. Classica de Almería (February 17): The Almería test will gather large squad figures after many of them compete in Murcia. Despite a rompepiernas start, it is expected to arrive at the sprint in Roquetas de Mar, where sprinters like Matteo Trentin, Odd Christian Eiking, Jakub Mareczko, Luis León Sánchez and Jon Aberasturi start as favorites. Tour de Omán (16-21 February): The Omani round will have a route for all tastes with flat stages, with steep slopes and high end but the general will be decided in the demanding climb to 'The Green Mountain', an ascent of 5.7 kilometers to 10.5% medium slope. Greg Van Avermaet, Magnus Cort, Andre Greipel, Rui Costa, Alexander Kristoff or Alexei Lutsenko are some of the cyclists to follow during the race.